Our fleet consists of brand new motorcycle units all identical to each other: BMW R 1200 GS my 2015. The queen of tourism-bikes. "Hold the level high, always higher. This is the challenge of the market leader. The BMW R 1200 GS has been the best-selling motorcycle in Italy and in Europe, for years, and still is. As we've often said, its dynamic equilibrium has almost reached perfection." 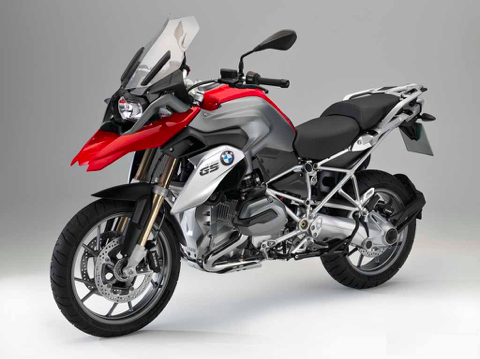 "The GS is always her, with its balance, its reactivity, its ability to make me want to travel forever. It’s quite a massive motorcycle that magically becomes small and light, just start spinning the wheels. Due to its boxer engine that lowers the center of gravity to levels impossible for the other engines and helps to make the bike incredibly intuitive to ride for everyone"